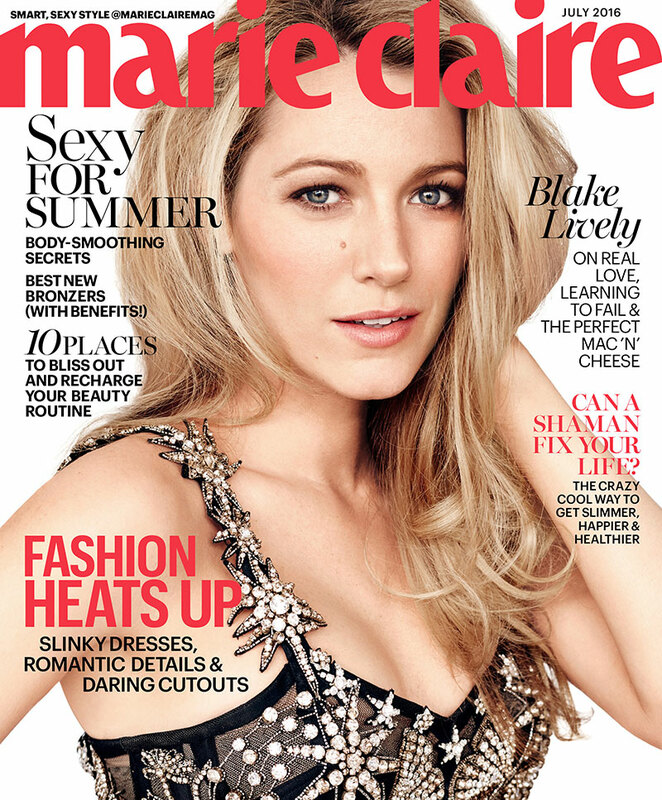 American actress Blake Lively covers the July 2016 issue of Marie Claire US, and dazzles in an embellished bustier from Alexander McQueen. Promoting her latest flick 'The Shallows', Blake who was definitely the Style Queen of the 2016 Cannes Film Festival, talks about the movie, her daughter and being married to Ryan Renolds. Blake sports a sequinned blue pantsuit for the editorial, putting her lace bra on show, along with her blonde hair styled in loose waves. The former Gossip Girl actress is photographed by Beau Grealy for Marie Claire, and is currently expecting her second child.